The sun and open roads make Florida the ideal destination for motorcyclists. While motorcycles offer fun and freedom, they also open the door to numerous dangers. Motorcycles are smaller than passenger vehicles, and they offer no protection for riders in the event of a crash. A crash involving a motorcycle is rarely minor. In fact, it is likely to be life-threatening. The good news is that by being alert and using the tools you have at your disposal—such as grippy tires, minimal blind spots and excellent handling—you can stay safe and avoid motorcycle accidents. Here are some common ones to avoid. 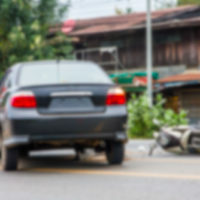 Believe it or not, the most common type of motorcycle accident is one that can be 100 percent prevented—drunk driving. In fact, alcohol accounts for half of all bike crashes. If you plan to drink, don’t drive. It’s as simple as that. This typically happens when you come around a corner too fast and find a pile of leaves or loose gravel waiting for you. You hit it and spin out, causing major road rash. The best way to avoid this is to slow down around curves, especially ones that are unfamiliar. No matter where you are riding, your main goal is to increase your vision as much as possible because to a motorcycle, even leaves can be a recipe for disaster. This often happens when you’re stopped at an intersection and the driver of the car behind you is daydreaming and coming at you at full speed. Your best bet is to be extra cautious when you are stopping unexpectedly, such as when you’re letting a pedestrian cross the street or when there’s an animal in the road. Tap your brake lever and keep our hand on the throttle in case you need to get away quickly. Remember, a fender bender is no laughing for a motorcyclist and can even result in death. This is a common occurrence due to the small size of motorcycles. The best way to avoid this is to stay out of the blind spot. Make sure you can see the eyes of the drivers in their mirrors. Also, be wary of situations when lane changes are more likely. For example, if one lane is faster than the other or if there is road construction and all driver are moving to your lane, be more alert and you will be able to anticipate actions. Check the weather forecast before you put on the gear and take the bike out of the garage. Rain can make roads very slippery, and motorcycle tires are not always up to the task. Manhole covers and oil spills on the roads are especially slippery. It’s best to avoid riding in the rain altogether, but if you do get caught it in, slow down and get straight home. Motorcycle accidents can lead to serious injuries and even death. If you are a victim, it’s important that you act quickly in order to preserve legal rights. You may be able to receive compensation for damages such as medical bills, lost wages, pain and suffering, and more. Learn more by calling the Dade City personal injury attorneys at Mander Law Group. Schedule your consultation today by contacting us at (800) 557-0411.